One of the top club teams, OutKast FC, returned to their winning ways last Saturday with a 7-0 rout of the Younghusband FA, who were reduced to ten after a player succumbed to injury. 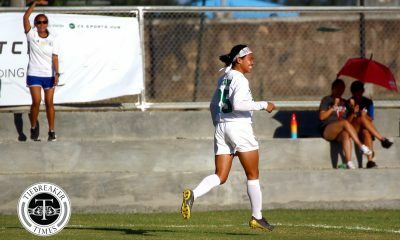 Andrea Tiongson set things off in the 22nd minute after a furious run that began from OutKast’s own half. Two minutes later, teammate Lindsay Whaley doubled their lead. After fourteen more minutes, Whaley netted a brace after combining with Tiongson on the right. Fifteen minutes after halftime, Ane Ugarte went on a shooting spree where she completed a hat-trick in a span of 16 minutes. Sharmine Siaotong’s 84th minute goal wrapped things up for OutKast FC, who were eager to break their losing streak and avoid a slide down the standings. Keuts Smith, who helps manage the team, was delighted with the result. “I’m very happy about it because after two losses [where] we conceded a lot of goals, we really needed to win. I’m pleased obviously [not only] because we won but also because we scored seven goals,” Smith said. 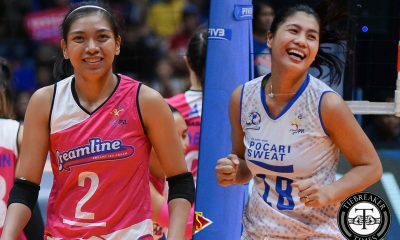 She also relished the fact that the team — with its young new additions — are starting to adjust well with each other after three games in. “Obviously we’ve got new players it’s quite difficult, I mean a lot of the players came from another club. But I also think the girls got more confident now because it’s the third time that they played together. For them to gel with the OutKast players, for us to gel with them. So I think every game it would be a bit better,” Smith added. Both the Far Eastern University and Hiraya FC entered into this match on good momentum as demonstrated by each team’s climb in ladder, but the UAAP team looked determined to build on their progress with a win. Hiraya FC were just as tenacious, going toe-to-toe with FEU even with a depleted squad and a player down for most of the first half. Initially, the Lady Tamaraws unleashed a barrage of attacks into Hiraya’s half, only to fizzle in the final third. Most of their best chances came off the boot of captain Jovelle Sudaria only to be frustrated by the dazzling saves of the other captain and Hiraya shot-stopper Haya Ibarra. Ultimately, the game ended in a scoreless draw with each team getting a point out of it. 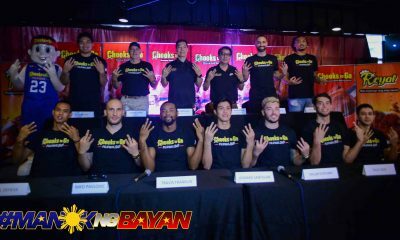 “Very lucky and at least that’s just the real reason for our draw kasi FEU is of course a UAAP team. 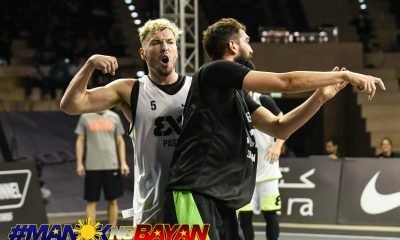 Ano rin sila fit coming from the season. 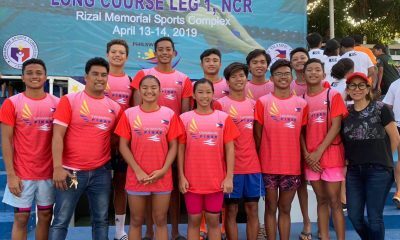 One point lang, happy na kami,” Hiraya coach Philip Dinglasan remarked. 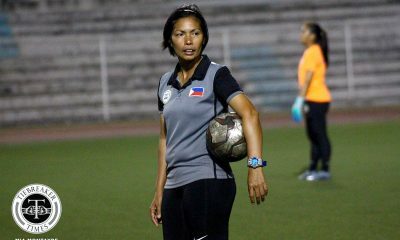 Apart from Ibarra, he made sure to commend the hard work of his midfielders, most notably Natasha Alquiros. 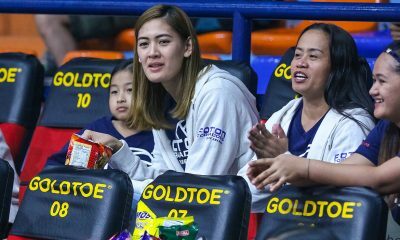 “For us who’s really playing a crucial role it’s Tasha because ever since she started as a holding player, we’ve been performing much better overall. Kasi she joins attack and at the same time she also can cover for defense. So malaking importance sa amin yun,” he added. 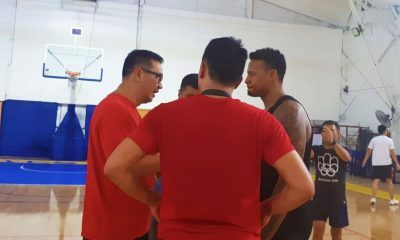 FEU coach Let Dimzon, meanwhile, isn’t as forgiving of her players. She lamented her team’s missed chances, pointing out that poor finishing is an issue that has to be dealt with immediately if they want to stay in the top half of the table. 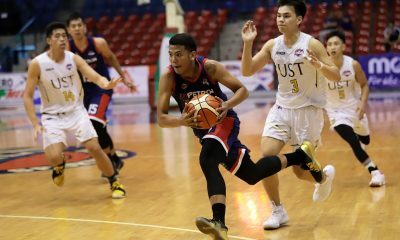 The University of Santo Tamos have been on a losing streak since the end of the UAAP season, but they managed to upend that last Sunday with a come-from-behind win over OutKast FC, cutting short the latter’s momentum after their win twenty four hours prior. It was an eighth minute stunner from beyond the 18-yard box that put OutKast ahead. The goal hit by Victoria Maniquis then caused UST to clamp down on defense. 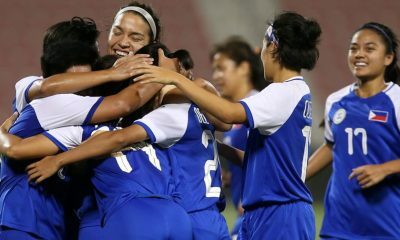 In the 24th minute, Nina Yanto’s pass found Jan Christelle Cleofe, who bested keeper Yasmin Elauria to slot in the equalizer. After halftime, the Lady Tigresses pushed for the advantage. 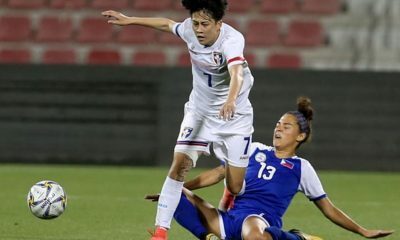 They obtained it in the 74th minute after Pauline San Bunaventura’s long delivery from the defensive end found an onrushing Hazel Lustan, who easily dealt with Elauria one-on-one. Seven minutes later Lustan scored again after neatly tucking away Shelah Mae Cadag’s pass in the box. With three minutes to go until full time, Charisa Lemoran made a point to leave a mark on the proceedings. The UST captain danced her way around OutKast’s entire backline to slam home her eighth league goal. 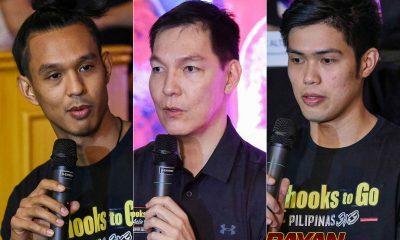 Afterwards, Lemoran sounded pleased that the UAAP finalists are winning again. “Siyempre masaya kasi onti-onti na kaming bumalik. 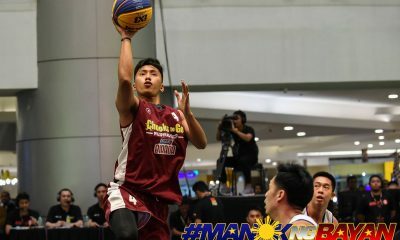 At least medyo nabuo na ulit kami kasi yung mga rookies namin eh kaka[sama] lang [sa laro]. 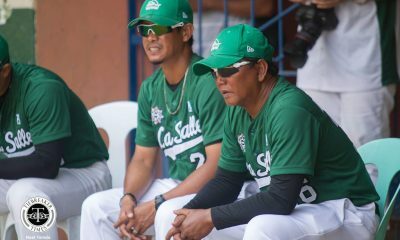 Siguro naninibago [pa] kasi bago lang sila, pero wino-work out namin yung mga ganon,” Lemoran shared. 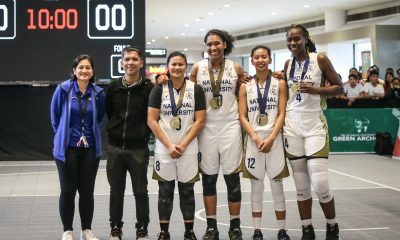 She went on to explain that the lack of training caused UST to lose their previous two games, in addition to many of the regulars — herself included — being away. 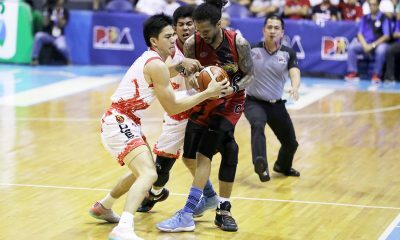 “Kasi nung last two games namin, talo kasi wala talaga kaming training. 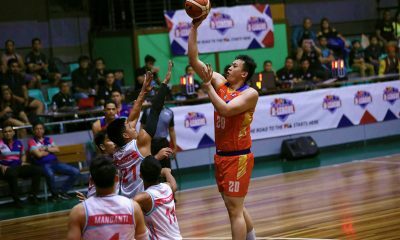 Day before game, training lang tapos bukas laro na ulit. 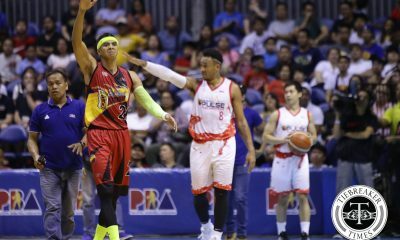 So siyempre medyo nagka-anohan [sila na] sana maka-survive kami at so far naka-survive naman yung team namin,” Lemoran added before acknowledging that there are issues that needed to be addressed as the team slowly became whole again. 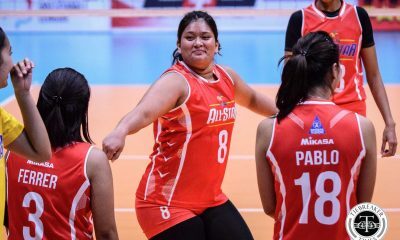 “Masaya naman [na panalo na ngayon] pero siyempre medyo hindi din satisfied [kasi] madami din kaming mga [problema pa] pero wino-work out lang [ngayon] kasi kakabalik ko lang saka si Hazel,” she concluded. 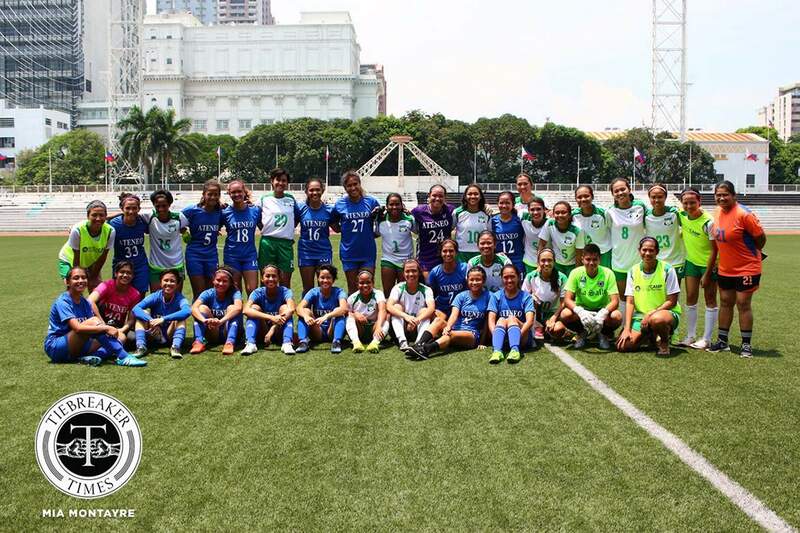 The Ateneo de Manila University were the last team to rejoin the league, and they did so with a decent showing that disrupted the forward march of Green Archers United FC. GAU FC drew first blood in the 18th minute after a Glynnes Dela Cruz’s strike was blocked by Moira Lim, only to be easily picked up by Alisha Del Campo for her eighth league goal. 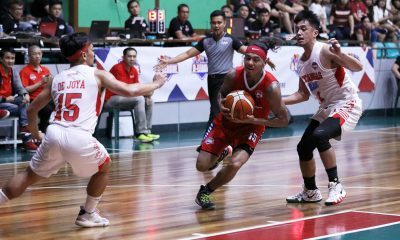 The Katipunan-based squad fought hard to level the terms, disrupting much of the confident rhythm usually displayed by their Alabang counterparts. Ateneo nabbed the equalizer in the 51st minute, starting with Pam Diaz controlling the ball at the centerline before she passed it off to Bianca Almeda. 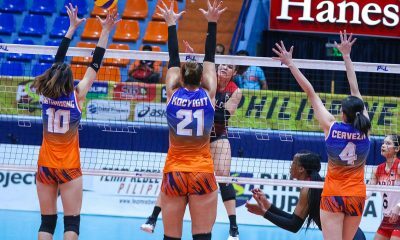 Almeda quickly tossed the ball over to a speeding Camille Rodriguez, who casually rounded Natasha Lacson before sending it to the back of the net. 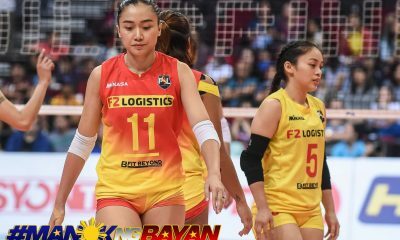 Like a similar match the previous day, GAU also had chances to go ahead and potentially win the match, most notably one by Michaela Maligalig that hit the woodwork. 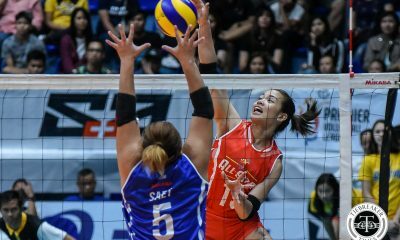 The Lady Eagles managed to hold on to the last minute thanks to steady goalkeeping by substitute Katherine Montelibano. At the end of the day, both squads were forced to share points. 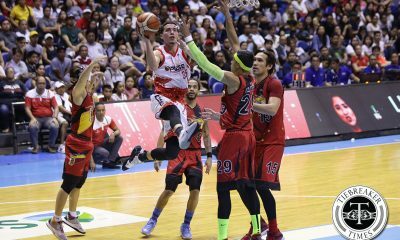 “We’re happy not with the result but with my players kasi yung objective namin is the change in formation which we already applied. To us it’s good, ganda ng movement. 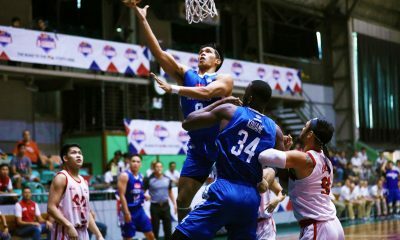 Of course may mga kailangan i-remind during sa training especially sa defensive side,” the Ateneo tactician John Paul Merida said, revealing that his side is experimenting with a 3-5-2 formation. 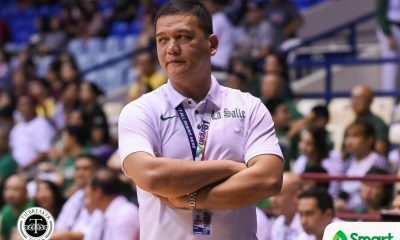 “Nado-dominate namin yung possession especially the middle third pero may mga counterattack yung GAU na kailangan namin na maging ready. 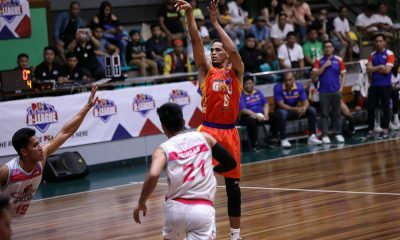 Nagkaroon kaming problema dun sa back three na every time mawala sa amin yung bola, it [should be] automatic for the back three kailangan kaagad mag-act to stop the counterattack,” he added. GAU mentor Eleonora Dillera acknowledged that her teammates were not being their usual selves and attributed it to injuries. 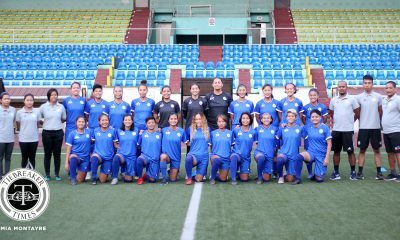 The PFF Women’s League continues this weekend at the Rizal Memorial Stadium. 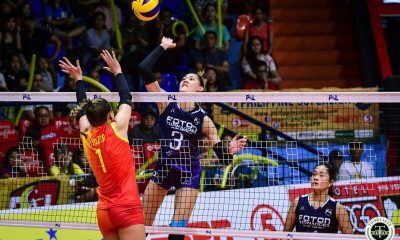 On Saturday, June 24, two matches are lined up: UP (8) vs. FEU (4) at 8:00 a.m., UST (7) vs. Hiraya FC (6) at 10:30 a.m.
On Sunday, June 25, there will be two games: Fuego Espanya (10) vs. DLSU (1) at 8:00 a.m., UP (8) vs. UST (7) at 10:30 a.m.